We’re celebrating 20 years as the world’s most successful growth market. 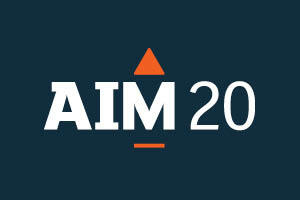 To help us mark the year of events for the AIM community we have created a bespoke anniversary brand mark. You can use it online, in communications and at events relevant to the AIM community, throughout the year. Apply below to recieve the logo and guidelines.